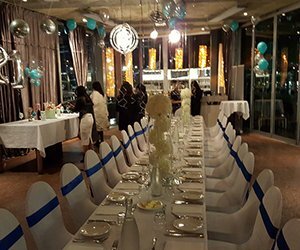 There are lots of things to take into consideration when choosing venue hire for an event. One of the most important aspects also happens to be one of the less obvious… Transport. When organising events, people often focus on venue size, flexibility, design options and location. All of these aspects are, of course, immensely important and Harbour Kitchen excel at each, but when thinking about location, people often neglect to take transport arrangements into account. Harbour Kitchen venue hire combines a magical setting with a level of convenience unrivalled elsewhere in Melbourne. Here’s just two of the reasons why. When attending a celebration of any description, the last thing most people want to be is designated driver. What celebration is complete without a glass of wine or two. And, of course, parking in the city is as expensive as it is difficult to find. Public transport is the perfect solution and, as far as venue hire goes, Harbour Kitchen couldn’t be better located to take advantage of Melbourne’s extensive train and tram networks. We’re just a stone’s throw away from the city’s largest train station, Southern Cross, and a multitude of tram routes. Better still, Docklands is within the CBD’s free tram zone, so your guests might not have to pay a cent to get to your event.